Scotch Gambit 4...Nf6 5.0-0 - Chess Gambits- Harking back to the 19th century! This is the other important line of the 4.d4 Two Knights Defence (often reached via 1.e4 e5 2.Nf3 Nc6 3.Bc4 Nf6 4.d4 exd4 5.0-0). White gets the king off the e-file and thus potentially makes e4-e5 more of a serious threat to Black. Black can try to neutralise this threat by playing 5...d6, or perhaps 5...Be7 (after which 6.e5 Ng4 is playable, transposing to the interesting line 5.e5 Ng4 6.0-0 Be7) but White then continues simply with 6.Nxd4 transposing into lines of the Hungarian Defence which are normally slightly better for White. Black sometimes plays 5...Bc5 inviting White to play the Max Lange Attack with 6.e5 d5 7.exf6 dxc4 8.Re1+ Be6 9.Ng5?! Qd5, after which Black tends to get the better of a very complicated middlegame. However, White can improve with 8.fxg7! Rg8 9.Re1+ Be6 10.Bg5, after which Black's best is 10...Be7 11.Bxe7 Kxe7. White generally gets the better chances in this version of the Max Lange thanks to Black's problems finding a safe home for the king. 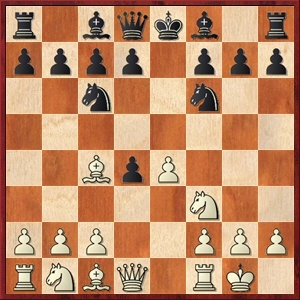 Therefore Black's most reliable counter is 5...Nxe4, snapping off an important central pawn. Then the Canal Variation, 6.Re1 d5 7.Nc3? !, falls short if Black is happy to settle for just being one pawn ahead following 7...dxc3 (or 7...Be6 8.Bxd5 dxc3, transposing) 8.Bxd5 Be6 9.Be4 Qxd1 10.Rxd1 cxb2 11.Bxb2 f6. This is quite a forcing sequence- White has no good way to deviate at any point after move 7- and with queens off the board, White will struggle to generate enough compensation for the sacrificed pawn. Thus White's best response to 5...Nxe4 is the "visual" tactical sequence 6.Re1 d5 7.Bxd5 Qxd5 8.Nc3, exploiting the pins on the d and e-files. Black now has to choose where to put the queen. After the solid but passive 8...Qd8, White's best is 9.Rxe4+, and after 9...Be7 10.Nxd4 f5, the exchange sacrifice 11.Rxe7+!? is playable and good. More critical are 8...Qa5 and 8...Qh5, after which White should continue with 9.Nxe4 and Stefan Bücker has suggested an interesting pawn sacrifice line stemming from 9...Be6 10.Neg5 0-0-0 11.Nxe6 fxe6 12.Bg5! ?, intending 12...Re8 13.Re4 (see his article, Rook With a View). It does not promise White a theoretical advantage but is a good way to avoid a quick burn-out. 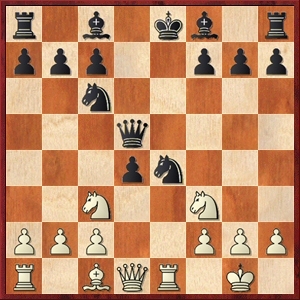 Although 8...Qh5, in particular, can lead to very level situations due to the possible exchange of queens if White's f3-knight moves out of the way, there are also alternative ways for both sides to keep some attacking chances going after both 8...Qh5 and 8...Qa5, as demonstrated in the games and analysis section. 5. 5...Nxe4 6.Re1 d5 7.Bxd5 Qxd5 8.Nc3 Qd8 9.Rxe4+! 6. 5...Nxe4 6.Re1 d5 7.Bxd5 Qxd5 8.Nc3 Qd8 9.Nxe4? !